Getting to Know Coach Pete! Tell us about your athletic background? I played just about every sport growing up, and focused on soccer in High School. After that my interest in team sports decreased and CrossFit took center stage as my ‘sport’ of choice. For as long as I can remember I’ve been playing sports. Things always seemed to come pretty naturally with very little effort. I love learning and playing new sports as I am always up for a fresh new athletic challenge. My soccer coach/health teacher at the time, now one of my good friends introduced some of us to it in our senior year of high school. We would gather in the school gym before school and do makeshift CrossFit workouts. How did you find CrossFit EXP & what made you join? My soccer coach/health teacher was a member and a coach at EXP. I eventually took the plunge and at 17 years old I joined EXP as my first CrossFit gym and the rest is history. What is it that you enjoy as a coach? I find great pleasure in seeing people do things they thought they couldn’t or shouldn’t do. Being a CrossFit coach I get to see this multiple times a day every day. People defy the norm within our four walls and I get to play a small part in that. It never gets old. What sort of results do you like to inspire in your students? Success is all relative. For some people, getting actually inside the gym is a huge success, and for others picking 400lbs up of the ground is a success. I’m lucky that I get to know so many people and I get to learn about what makes them tick. A class with 10 people can have 10 different success stories, and I love to celebrate them all! 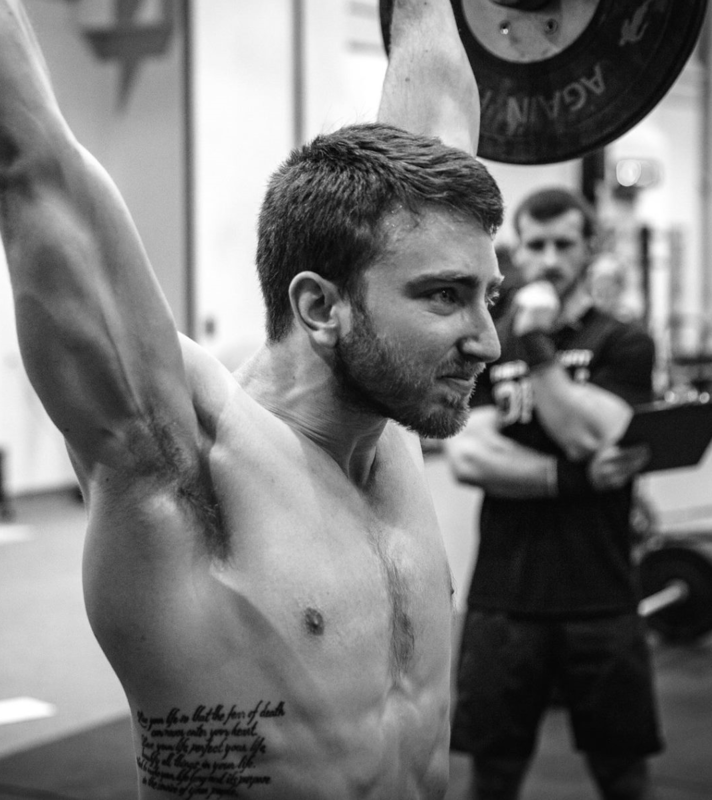 How do you personally measure success in CrossFit workouts? I base my success day to day, did I do my best in the gym TODAY. Regardless of the numbers I hit, scores I get, times I finish in, did I do my best in each workout each day. The culmination of weeks, months and years trying to focus on making every day your best, can yield some pretty amazing results. Do you have a personal fitness philosophy you’d like to share? Maximize your time in and out of the gym, whether its warming up, squatting, running, stretching, or making dinner, do it all with a purpose.